Obama vs Romney vs Gay MarriageWhat are Obama and Romney's views on gay marriage? If you were living in America today, who would y...Momentum Towards Gay Marriage Is UnstoppableThe UK is on an unstoppable journey towards the legalisation of gay marriage. 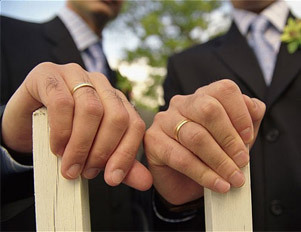 The coalition real...Gay Marriage Law Must Come Into EffectGay marriage must be effected in the UK. It is the only moral course of actoin.